Color: Clear (Transparent), Bronze, Green, Lake Blue, Diamond Blue, Opal, White, etc. Special colour can be ordered according to your request. 1). High light transmission: up to 88% that of same thickness of general glass. 2). 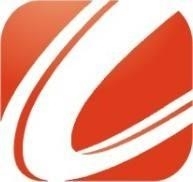 Excellent impact resistance: 25~300 times that of glass. 3). Weather and UV resistant properties retained for years. : Temperature resistance range is -40°C ~ +120°C, with an ultraviolet coextruded film on the sheet surface. It can prevent the resin fatigue or yellowing caused by the ultraviolet. 4). Light weight: only 1/2 of the weight of glass of the same thickness. It can be easily cold bent as well as thermal shaping. 5). Flame resistance: High fire performance rating is class B1. 6). Sound and heat insulation: Superb sound insulation for freeway barrier and super thermal insulation save energy. 1). Roofing light sheet and sunshade for office building, department store, hotel, stadium, school, amusement center, hospital, ect. 2) Skylight, lighting for corridors, balcony, passages and subway entries, walkways. 3) Do-It-Yourself (DIY), awning, canopy. 4) Advertising lamp boxes, sign board. 5) Anti-riot shield, bullet resistant material, Bank ATMs. 6) Conservatories, agricultural greenhouses, zoos, botanical gardens. 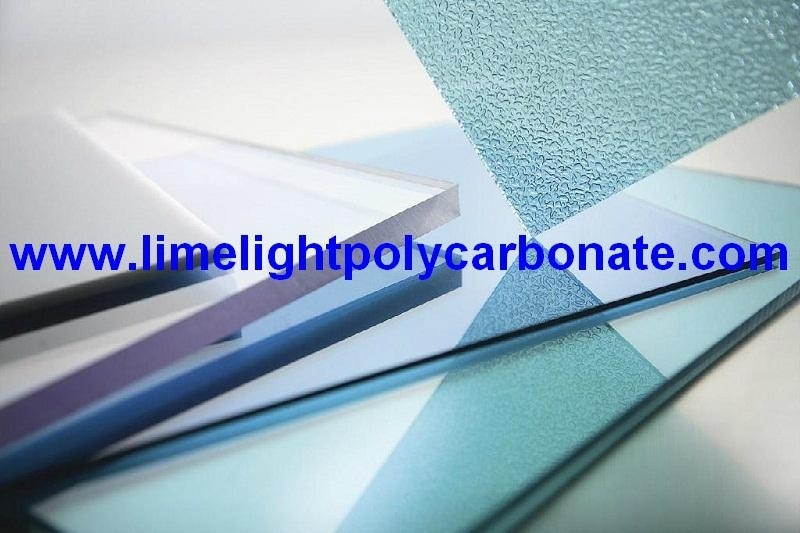 Polycarbonate sheet, polycarbonate hollow sheet, polycarbonate panel, PC panel, PC sheet, polycarbonate board, PC board, hollow polycarbonate sheet, polycarbonate sun sheet, frosted polycarbonate sheet, frosted polycarbonate hollow sheet, twin wall polycarbonate sheet, triple wall polycarbonate hollow sheet, polycarbonate roofing sheet, polycarbonate roof sheet, building material, building plastic, roofing material, sun sheet, skylight, multi wall polycarbonate sheet, sell polycarbonate sheet, polycarbonate honeycomb sheet, solid polycarbonate sheet, polycarbonate solid sheet, unbreakable polycarbonate solid sheet, plastic sheet, sun sheet, solar sheet, sunlight sheet, embossed polycarbonate sheet, anti-fog polycarbonate sheet, anti-drop polycarbonate sheet, polycarbonate awning, polycarbonate canopy, polycarbonate shelter, polycarbonate sheet greenhouse, swimming pool cover material, polycarbonate shelter, building glass, sell polycarbonate sheet, sell twin wall polycarbonate sheet, polycarbonate profile, polycarbonate accessory, polycarbonate skylight, polycarbonate U profile, H profile, snap, joint, PC composite sheet, crystal sheet.